When an Illinois debtor has not repaid a debt, the creditor may seek a judgment from an Illinois court ordering that the debt be paid. Judgment creditors may legally seize a portion of an employee's paycheck to satisfy the debt. This process, known as "garnishment," is governed by state and federal law. In Illinois, state law restricts the process for more than one judgment creditor to garnish an employee's paycheck. 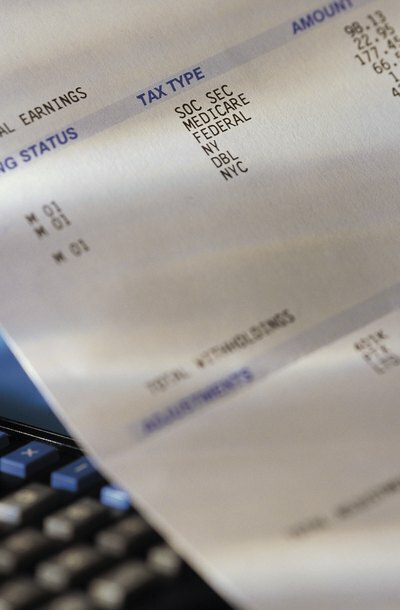 Federal law and Illinois state law restrict the maximum amount of wages that may be garnished from an employee's paycheck. Title III of the Consumer Credit Protection Act limits the maximum amount garnished per pay period to the lesser of 25 percent of disposable earnings or the amount by which disposable earnings are greater than 30 times the federal minimum hourly wage. States are permitted to lower the federal amount. Illinois has lowered the maximum amount to 15% of the employee’s gross earnings, or the amount by which the employee’s disposable earnings for that week exceed 45 times the federal minimum wage or the Illinois minimum wage, whichever is greater. Illinois law has special rules regarding garnishment proceedings by multiple judgment creditors. A paycheck cannot be garnished by a second judgment creditor until the first creditor has been repaid in full. An employee must pay the maximum amount for the first garnishment, so adding a second creditor would cause the wage garnishment to exceed the maximum allowed by law. Illinois state law protects debtors against termination by an employer for one debt, a protection that is also afforded under federal law by Title III of the Consumer Credit Protection Act. Neither Illinois state law nor federal law offers protection against termination for more than one debt; however, there's no requirement that an employer terminate an employee for more than one debt. An employer is free to maintain the employment relationship with the debtor. Employees may dispute a wage garnishment. If your wages are exempt from a garnishment, notify your employer and challenge the garnishment by requesting a court hearing. The Wage Deduction Notice sent by the creditor contains the details for disputing the garnishment by requesting a hearing. Illinois Pro Bono: What Is a Wage Garnishment and How Will It Affect Me? When you cannot pay your debts, some of your creditors may seek to garnish your wages, receiving a portion of your paycheck before you get it. Though Colorado has not created its own garnishment limitations, federal law places some limits on what your creditors can do. Additionally, bankruptcy can discharge some of your debts and stop the garnishments.